4015 Lake Park Drive, Wichita Falls Texas 76308, near Brenda Hirsch Road. ​ GPS 33-degrees 52' 18.0" N 98-degrees 30' 19.0" W.
Entrepreneur John Hart Wilson was born in Pueblo, Colorado and grew up in Clarksburg, West Virginia. He graduated from Purdue University in 1914 with a degree in electrical engineering and joined the U.S. Army Corps of Engineers. He then worked in Toledo, Ohio, setting up electrical generating plants, before serving as an engineer during World War I. After the war, he organized a company in Clarksburg to manufacture electric lights to be installed on Model T Fords after purchase. In 1920, Wilson moved to Burkburnett, joining his brother. There, he met and married Ella Nevile, a nurse. Wilson designed a winch that could be mounted to a tractor and moved between oil wells; the product’s success led Wilson to move his manufacturing company to Wichita Falls in 1926. In 1932, he introduced a mechanical drilling rig, which helped make steam-powered drilling rigs obsolete. Wilson patented 118 inventions, including the chain transmission, which made possible the use of larger engines with greater drilling speed and depth potential. He also improved a pneumatically controlled clutch, making it possible to control large amounts of power by moving a small actuating valve. 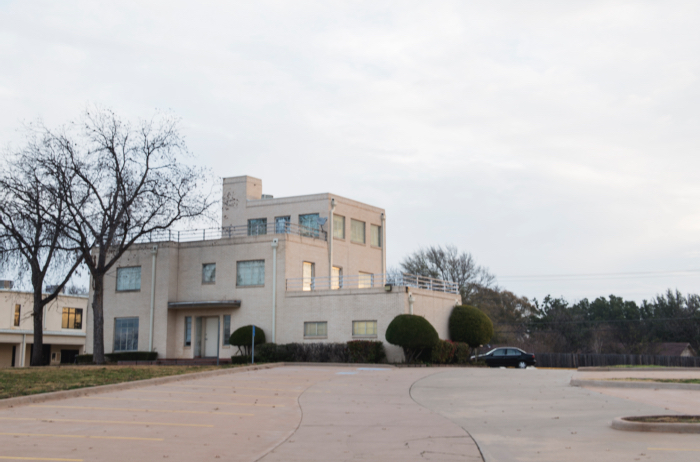 He organized Wichita Clutch Company to produce this equipment; he also owned Wichita Falls Foundry and Machine Company, which produced castings. During World War II, Wilson redesigned and manufactured barrage balloon winches, used to keep low-flying enemy aircraft away from troop positions. He also built houses and commercial buildings. 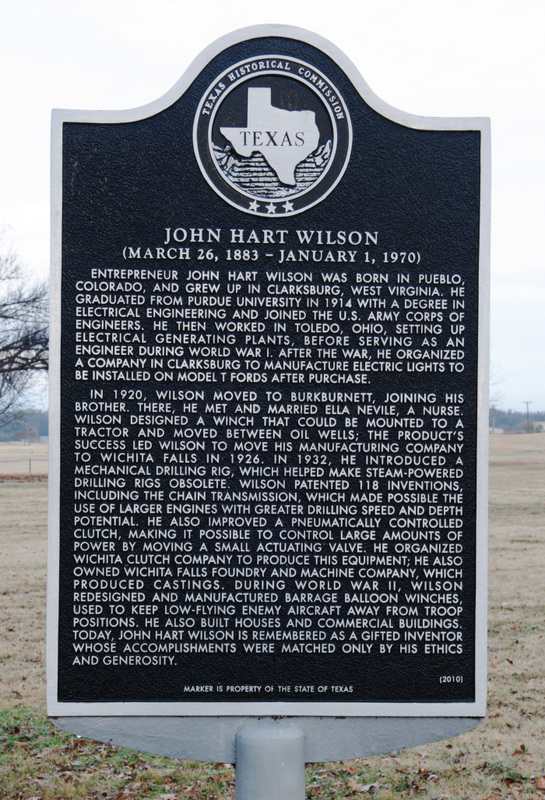 Today, John Hart Wilson is remembered as a gifted inventor whose accomplishments were matched only by his ethics and generosity.